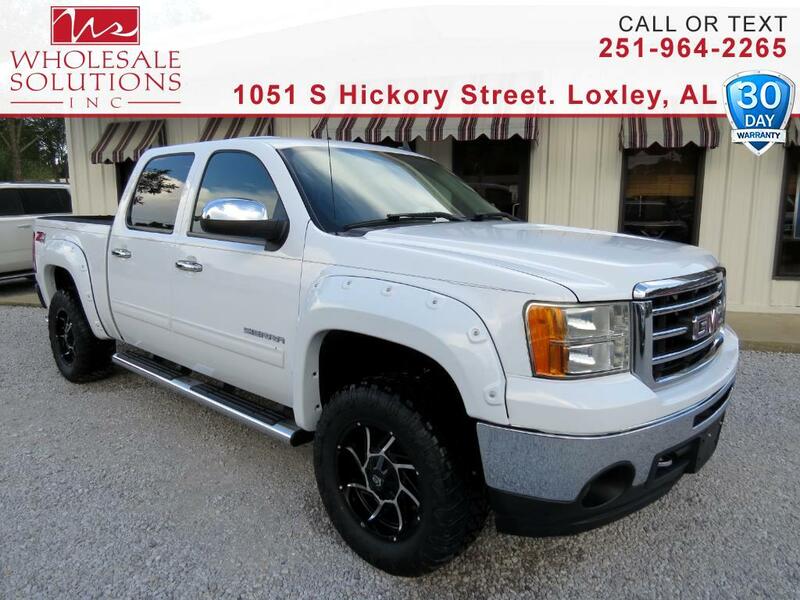 Used 2012 GMC Sierra 1500 4WD Crew Cab 143.5" SLT for Sale in Loxley AL 36551 Wholesale Solutions Inc.
CARFAX One-Owner. ***Financing Available***, ** OFF ROAD WHEELS AND TIRES **, Suspension Package, Tow Package, Trailer Package, Sierra 1500 SLT, 4D Crew Cab, Vortec 5.3L V8 SFI VVT Flex Fuel, 4WD, 18" x 8" 6-Spoke Chrome-Clad Aluminum (4) Wheels, 3.42 Rear Axle Ratio, Chrome Door Handles, Chrome Mirror Caps, Deluxe Chrome Package, EZ-Lift Tailgate, Front Chrome Recovery Hooks, Heavy Duty Cooling Package, Heavy-Duty Air-to-Oil External Engine Oil Cooler, Heavy-Duty Auxiliary External Transmission Oil Cooler, Heavy-Duty Handling/Trailering Suspension Package, Heavy-Duty Rear Automatic Locking Differential, Heavy-Duty Trailering Package, Locking Tailgate, Off-Road Suspension Package, Power-Adjustable Pedals For Accelerator & Brake, Rear Wheelhouse Liner, Skid Plate Package, SLT Convenience Package, Ultrasonic Rear Parking Assist w/Audible Warning. Odometer is 7630 miles below market average! Clean CARFAX.